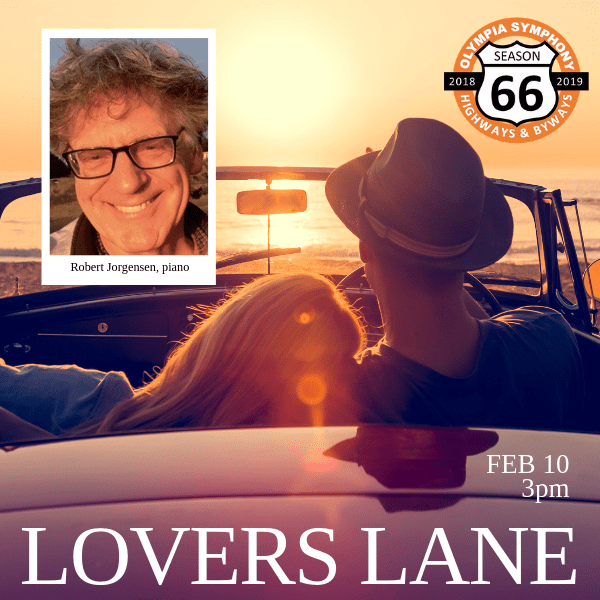 Olympia Symphony – "Lovers Lane"KING FM 98.1 - Classic Radio Inc. | KING FM 98.1 - Classic Radio Inc.
A pre-Valentine’s Day concert features a trilogy of beloved favorites. Mozart’s zestful Overture to his opera The Marriage of Figaro raises the curtain on this matinee presentation. Local performer and musical icon, Robert Jorgensen, returns to the OSO stage for the lyrical and Romantic Piano Concerto by Edvard Grieg. The late-19th-century music by Brahms is considered to be the height of musical Romanticism and his last Symphony — the Fourth — is a rich and involved work in the lauded tradition of German music.